The natural light during the day was amazing, a whole wall was only windows. The bathroom was nice and clean. The central proximity. Basic amenities were adequate and room, though sparse with mismatched second hand furniture and no der, was clean. This property is an insult to tourist! We suffered a horrible and wretched experience. I would not recommend this hotel to anyone! Large fairly comfortable bed. Reasonably quiet. Very good location in the centre by the square. Late check out time (12pm). Good location and although there is no longer a restaurant the hotel has been updated well and is clean and bright. The location is just perfect! 50 m from Taubenmarkt. Great opportunity for digging out the city on foot. Self check-in and out made everything more straightforward for us. There was no personal reachable on phone. Nevertheless we managed all successfully. The ease of and secure access to a spacious, beautiful building; spacious, comfortable room; well layed out shared areas. One of our best sellers in Linz! The traditional Hotel Mühlviertlerhof is located in the center of Linz, within a 2-minute walk of the main square, shops and restaurants. The property has self-check-in facilities. All rooms are recently partially renovated and feature laminate flooring, a flat-screen TV and WiFi. Guests can enjoy a buffet breakfast at surcharge in the Hotel Schwarzer Bär, 5 minutes from Hotel Mühlviertlerhof. 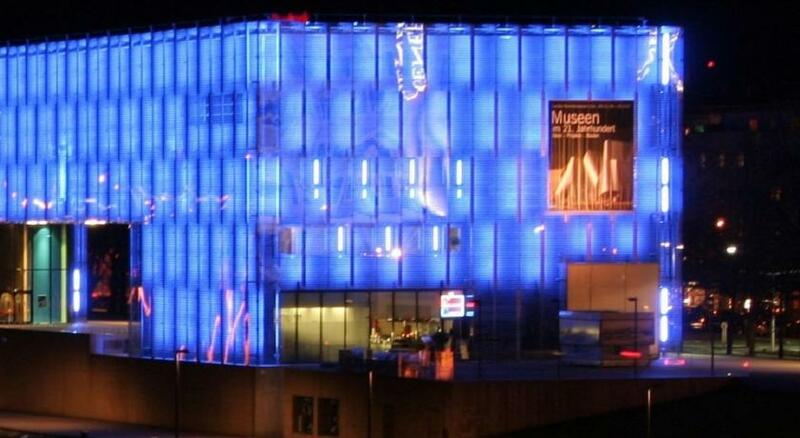 The Ars Electronica Center, the Lentos Museum, the New Cathedral, and many other sights are only a short walk away from Hotel Mühlviertlerhof. Innere Stadt is a great choice for travelers interested in museums, shopping and food. This is our guests' favorite part of Linz, according to independent reviews. When would you like to stay at Hotel Mühlviertlerhof? 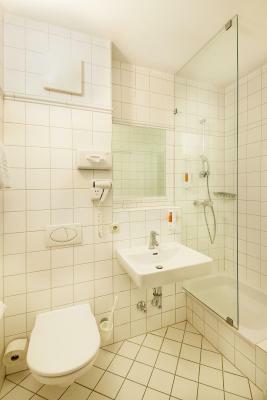 Spacious room with satellite TV and a bathroom with a shower or a bathtub. 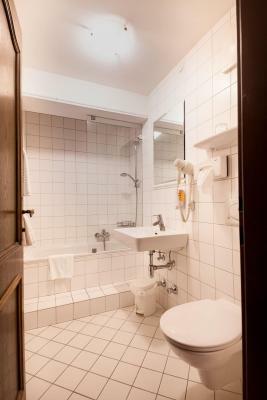 Spacious room with satellite TV and a bathroom with a shower. This family room has a balcony, oven and satellite TV. Hotel surroundings – This neighborhood is a great choice for travelers interested in museums, shopping and food – Check location Excellent location – show map Guests loved walking around the neighborhood! House Rules Hotel Mühlviertlerhof takes special requests – add in the next step! Hotel Mühlviertlerhof accepts these cards and reserves the right to temporarily hold an amount prior to arrival. Please note that there is no reception on site. You will receive a check-in code before arrival. Please inform Hotel Mühlviertlerhof of your expected arrival time in advance. You can use the Special Requests box when booking, or contact the property directly using the contact details in your confirmation. We didn’t see any staff member. It’s a self check hotel which is not a problem but we would have liked to know this in advance as we had trouble checking in. We didn’t receive the code and talking to the person in charge was complicated. Big double bedroom, very clean. Good location. The door had to be slammed to close it properly (the lining was coming out). There were no windows in the room, only a narrow door onto a small balcony, so there was very little natural light. The plug in the bath wasn't water tight, so couldn't have a proper bath. Room size; booked room obviously been occupied by smokers earlier. Do not expect any service. Self check in hotel!!! Right in the centre of the city on the cheap. Location, quick self check-in and out! The hotel is a bit old and so does the furniture. But the room and the bathroom were clean. As you can imagine parking might be a bit problematic as any other central hotels. The lights in the evening were very poor, even with the lamps on you could barely see.